Have you been hearing a lot about Zwift and indoor training? Why not call us for an appointment to ride it for yourself! We are Kansas City's only Tacx Demo Center! 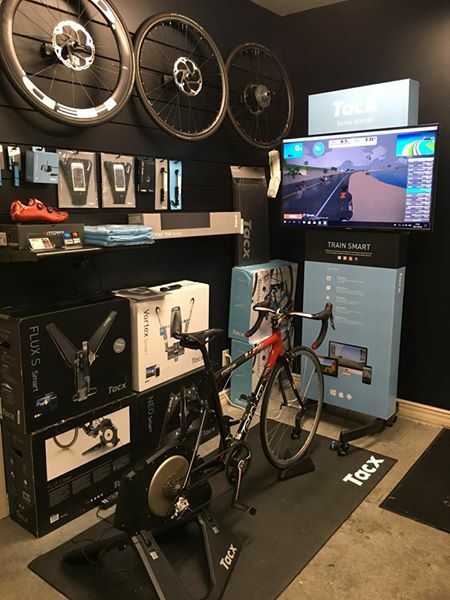 Come over and ride a Tacx Neo Smart Trainer. Just for stopping by and giving it a try... you will receive (while supplies last) a Hammer sampler pack. Our entire line of trainers is available to "Free Test Ride". See What Trainers We Have!